Jordyn Blum is a popular American film director. She is, however, more famous for being the wife of the famous rock musician, Dave Grohl. Dave Grohl is most popular for being the founder and lead vocalist/instrumentalist of the multiple award-winning Rock band, Foo Fighters. Jordyn Blum is also a former model. As a director, she is best known for her works in Foo Fighters’ music video “Walking a Line” (2002) and The GQ Men of the Year Awards (2003). 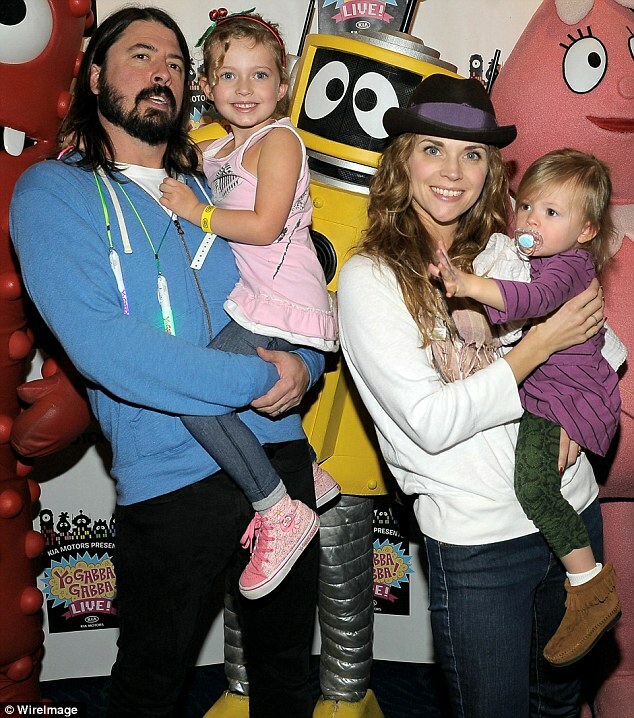 Blum has been with Grohl for close to two decades now, and fans are curious to know the kind of woman she actually is, to have maintained a blissful relationship with the celebrity for such a long period and still counting. 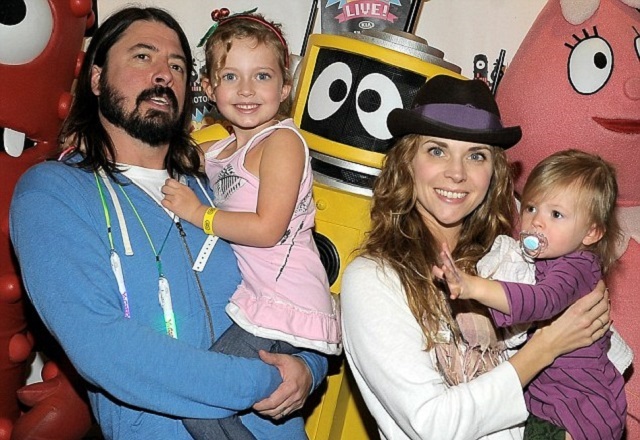 Here we bring you the biography and important facts about Jordyn Blum, the wife of Dave Grohl. Jordyn Blum was born on 28th May 1976 in Los Angeles, California in the United States of America. Further information on Blum’s background such as her parents, siblings and early education are currently not available. She probably has never shared such matters with the media. Howbeit, Jordyn Blum developed a passion for modeling at a young age. She actually ventured into the career while still a teenager, featuring on the cover of Teen Magazine at the age of 17. That was in 1994. As a model, Jordyn worked for a number of high profile fashion companies in the U.S. many years later, she appeared in Dave Grohl’s music video “White Limo“. After a few years of modeling, Blum decided to leave the industry for undisclosed reasons. She soon after got a production job with MTV. After having a stint as a producer, Jordyn delved into directing. Since after becoming a director, she has worked in a number of projects including working for Dave Grohl’s band, Foo Fighters. She has so far directed the band’s documentary video, “Walking a Line” which was released in their 2002 album, One by One. She also directed The GQ Men of the Year Awards in 2003. Jordyn does not have many works to her credit yet as her motherly and wifely responsibilities which she appears to prioritize much be taking a good chunk of her time and energy. Jordyn Blum married Dave Grohl on 2nd August 2003. The wedding was a private but colorful ceremony. The couple had earlier met in 2001 at a bar in West Hollywood, California. Grohl had approached Blum after much hesitation. They exchanged acquaintances and became friends. They subsequently developed a liking for each other and started dating. Jordyn and Dave have since maintained a blossoming relationship, with no rumors of divorce and other marital issues. Read more about Jordyn and Dave Grohl’s relationship and how they met. Their union has produced three girls – Violet Maye, Harper Willow Grohl, and Ophelia Saint. They were born on April 15, 2006, April 17, 2009, and August 1, 2014, respectively. Last daughter Ophelia almost arrived on her parents’ 11th wedding anniversary – she was born six days after the celebration! Jordyn Blum is yet to open up about the family she was born into. No information on the identity of her parents, siblings or relatives is available to the media. Jordyn maintains a low profile and scarcely discusses her personal matters publicly. This could be the explanation for the lack of information on her family. At the moment, Blum’s family which the media is aware of remains her husband and three kids. They live happily together in their deluxe home in Encino, Los Angeles. 1. Jordyn is Dave Grohl’s second wife. The Rock star previously married Jennifer Youngblood, an American photographer in 1994. They, however, divorced only three years later, in 1997. 2. Jordyn is 9 years younger than her husband who was born on January 14, 1969. 3. Dave Grohl actually got himself drunk before he was able to gather enough morale to talk to Jordyn for the first time when he saw her at the Sunset Marquis Whiskey Bar. 4. One of Jordyn’s three daughters is already following her father’s footsteps in music. It’s precisely Harper who at the age of 9 has become an expert on the drums and has also performed a live concert alongside her father’s band. Dave must have gotten the feel of her musical talents and consequently gave her the name “Harper”. 5. In 2009, Jordyn alongside Dave Grohl was named the MusiCares Person of the Year at the Los Angeles Convention Center.